7G High Speed Browser is a free, simple, fast, and secure web browser that focuses on lightening, security, and efficiency. It give you lots of options to protect your privacy. It designed for both mobile phone and tablet, brings you an amazing broadband experience. This app is perfect for all existing android networks like the current fast 4G LTE network, and in the future for other networks like 5G, 6G, 7G, 8G, even for 9G. 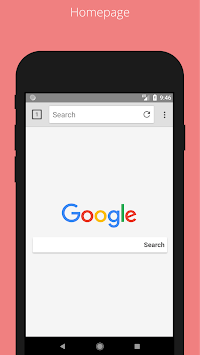 ● Speed - By utilizing the WebKit rendering engine that comes built into your Android device, G High Speed Browser can ensure a swift, lightweight experience. 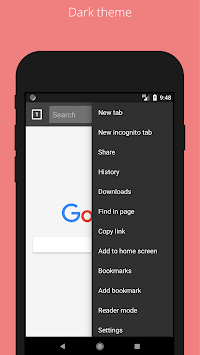 ● Privacy - Use Incognito Mode to browse without leaving a footprint, download Orbot and turn on TOR proxy support to mask your identify and location, use StartPage or DuckDuckGo for your search engine, or disable settings that you think leave you at risk. Whatever your concern, Lightning will try to help. 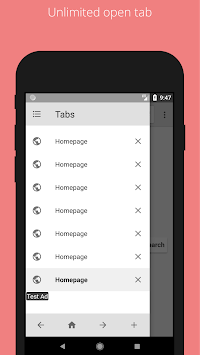 ● Open-source - Just as Android open-source, so is 7G Browser. I believe that the best software is built when communities come together to engineer the best solution.